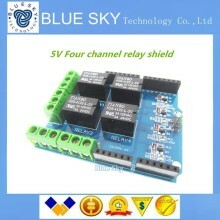 100% brand new and high quality Relay Shield (ie 5V Quad Relay Module) is a small current signal control power equipment commonly used electronic module, enabling high-power single-chip control devices are widely used in SCM system to make smart home project; and can be directly plugged into the compatible the use of various types of motherboards, eliminating the patch cable troubles. Module features are as follows: 1. Standard For Shield interfaces and shape 2. Can continue to stack other For expansion boards 3. 3 M3 screw positioning holes for easy installation 4. 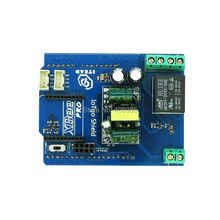 High Drive (5V or 3.3V) normally open contact closure 5. Onboard relay indicator (red) Special Note: When using the For UNO board connected to it, because UNO USB interface is extremely high, should avoid green terminals are shorted its shell. 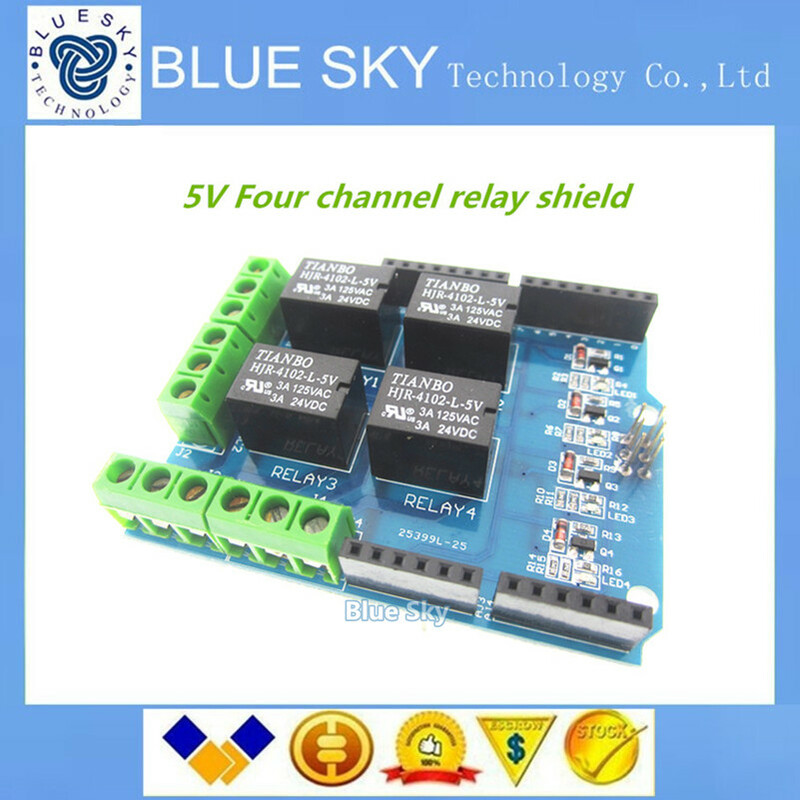 Relay Shield Interface: (the last picture show) Relay: sky- 5V DC relay , model HJR-4102-L-5V, which Relay1 behalf of the 1st relay , the other and so on. Power Interface : 5V DC power interface Indicator: four lights are red when the relay is driven high , the corresponding indicator will light up . Relay Terminals: Terminal high-power , high-current high voltage can be connected to the device . The 1st foot ( i.e. 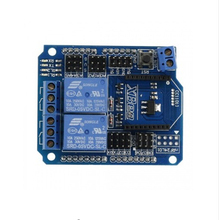 NOx) is a normally open pin , NCx pin is normally closed , COMx is common, i.e., when the relay is not driven , NOx and COMx open between two pins , NCx and COMx connection ; When the relay (x) control signal pin is high drive relays , NOx and COMx connection open between NCx and COMx.